The experiments, done by teams at Stanford and Harvard Universities, point to possible new ways to treat diseases of aging, from Alzheimer’s to heart disease. And they’re hoping they can find what it is in the blood so that people won’t have to resort to blood transfusions to do it. The studies, published in the journals Nature Medicine and Science, suggest that whatever it is that rejuvenates muscles, brain cells and perhaps other functions in the body circulates in the blood when animals are young, and stops circulating as they age. Both teams started with very simple approaches — they transfused blood from young mice into older mice. “You just give an old mouse young blood and see if the animal is smarter than before." “You just give an old mouse young blood and see if the animal is smarter than before,” said Tony Wyss-Coray, a professor of neurology at Stanford who led one of the studies. They were. The old mice could navigate mazes as quickly as young mice could. “It was as if these old brains were recharged by young blood,” Wyss-Coray added. “We’ve shown that at least some age-related impairments in brain function are reversible. They’re not final,” added Saul Villeda, who is now at the University of California, San Francisco. What you can do is set up an experiment with blood transfusions in Alzheimer’s patients, and Wyss-Coray is seeking federal government permission to do just that. You can also look to see just what it is in the blood that’s having the effect, and that’s what Amy Wagers and Lee Rubin of Harvard’s Department of Stem Cell and Regenerative Biology did. They not only transfused mice with young blood, but surgically connected two-month-old mice to 15-month-old mice for five weeks. (This strain of mice usually lives just over 2 years). The young mice didn’t seem to suffer from sharing blood with the older mice. But when they hooked up the young mice to 21-month-old mice, production of new brain cells slowed. Other studies have shown this, also -- something in the blood of older mice can impair young ones. The researchers know that as animals age, they lose blood flow in the brain. The young blood restored some of this lost blood flow in the older mice. More tests showed the young blood was making the existing blood vessels healthier. “This should give us all hope for a healthier future." 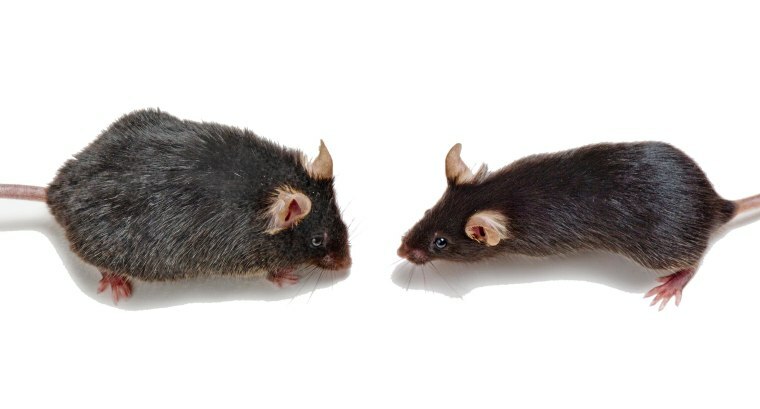 Other research had shown that a protein called GDF11 strengthened the hearts of elderly mice. When the Harvard team injected older mice with GDF11, they exercised better and smelled things better, also. The next step is to see how much of this applies in humans. “It isn’t out of question that GDF11 … might be worthwhile in Alzheimer’s Disease,” Rubin said. His team is working with venture capitalists to raise the money to go forward. Wyss-Coray has co-founded a biotechnology company called Alkahest to move ahead. Wyss-Coray believes there could be other factors besides GDF11 at work. And it will also be important to find out where they are made. It might not be the blood that is key — some other organ may be producing these rejuvenating factors, and the blood’s just carrying them around.